Samar Elbarawy is an Egyptian artist. She joined the video studio of the Ecole Supérieure d’Art d’Aix en Provence in November 2011 in the frame of an exchange programme with the faculty of Fine arts of Alexandria University. Trained as a painter , she is currently completing her Master’s degree and working as assistant -teacher of painting in Alexandria. 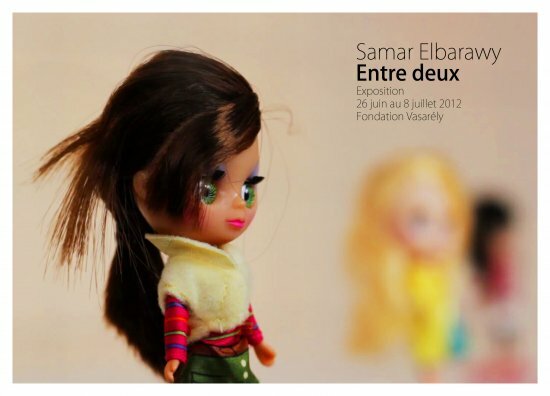 Samar was selected to join the Mediterranean video art network launched by the Ecole Supérieure d’Art Aix en Provence « labofictions » and studied video art for one year in Aix. With the delicacy of a surgeon, Samar cuts through our certitudes to bring to the surface paradoxes, and differences, understanding and misunderstandings. All those subtle variations that build Humanity. 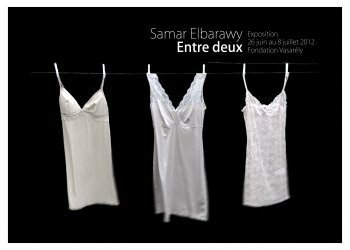 Samar El Barawy’s work , on a girlish conversations mode, highlights the issue of man/woman relations in today’s Arab societies. Her video installations use simple and precise devices to reveal all the complexity , paradoxes and expectations of a changing society that compares itself to a globalised and multifacted ideal of Women . Opening show in collaboration with Seconde Nature. Live concert by Patrice Curtillat aka Poborsk currently developing his project « bestiaire » in residency at Fondation Vasarely .